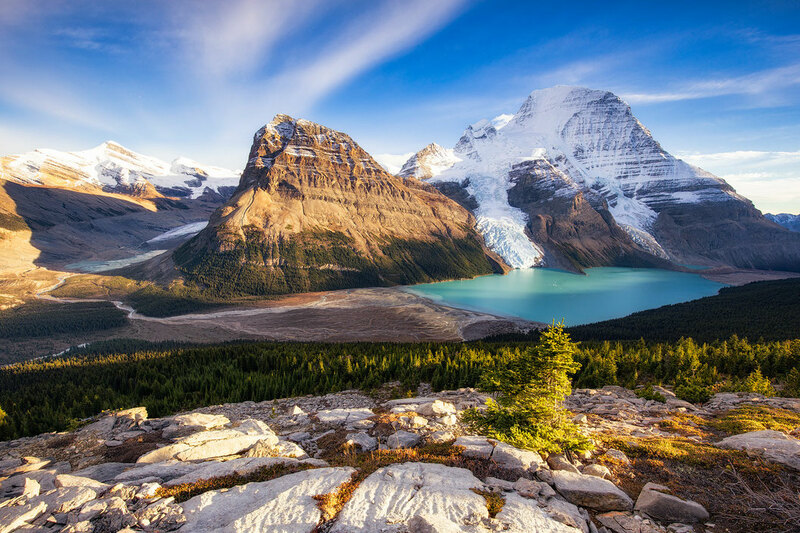 Visiting The Canadian Rocky Mountains has been on my bucket list for a very long time. After an opportunity presented itself to spend one year in this beautiful country on a Working Holiday Visa I didn't have to think twice. In fact once my visa to Canada was granted I cut short my stay in Australia, where I was residing at the time. I just couldn't wait to be back in the mountains again after New Zealand! After spending over a year in the Rockies photographing through the most spectacular mountain landscapes I've ever seen, I've decide to put together a list of the places every landscape photographer should visit at least once in their lifetime. 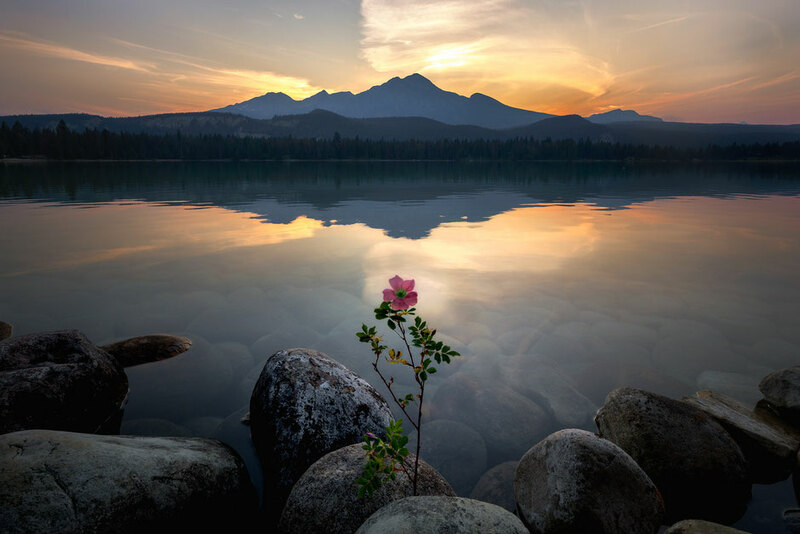 Some locations require days to trek to and others are easily accessible by the side of the road, however all of them are a worthwhile cause, to wake up before the sun rises and before the crowds start to accumulate. To make the most of your valuable time here, consider following my two week road trip around the Canadian Rockies designed for photography lovers. 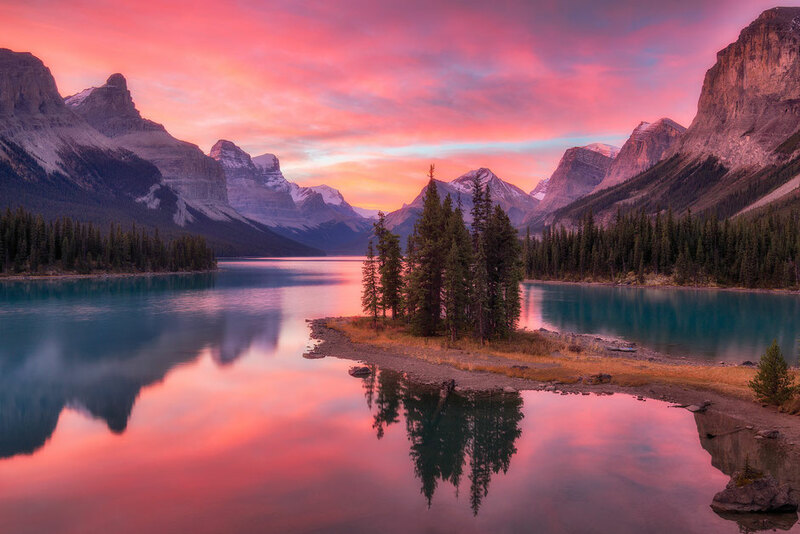 There are loads of boat cruises heading down Maligne lake every day, however if you want to photograph Spirit Island at sunrise or sunset you will have to plan a multiday kayaking or canoeing excursion. I stayed at Fisherman's Bay Campground and canoed to Spirit Island through the dark to get this shot at sunrise. 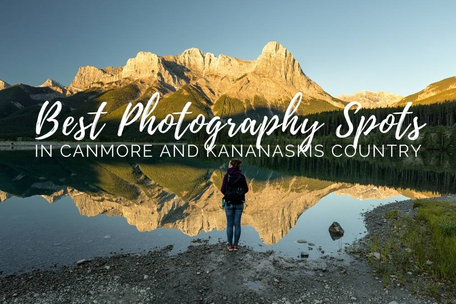 Hands down the most beloved location for photographers visiting the Rockies. These easily accessible lakes, just a few minutes away from downtown Banff, attract hundreds of people each day no matter the season. There's certainly many other photography spots in Banff National Park that offer more solitude but if you're there early for sunrise then you should have easy enough space. 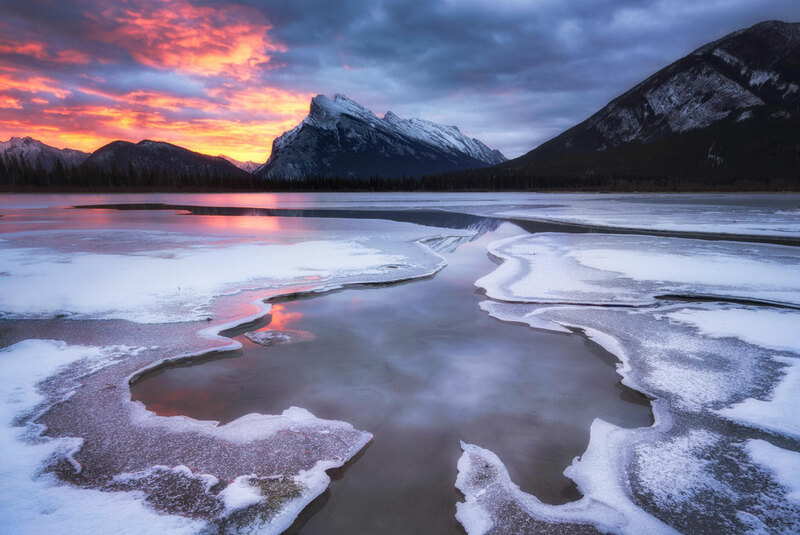 The Vermillion Lakes should high on everyone's bucket list. 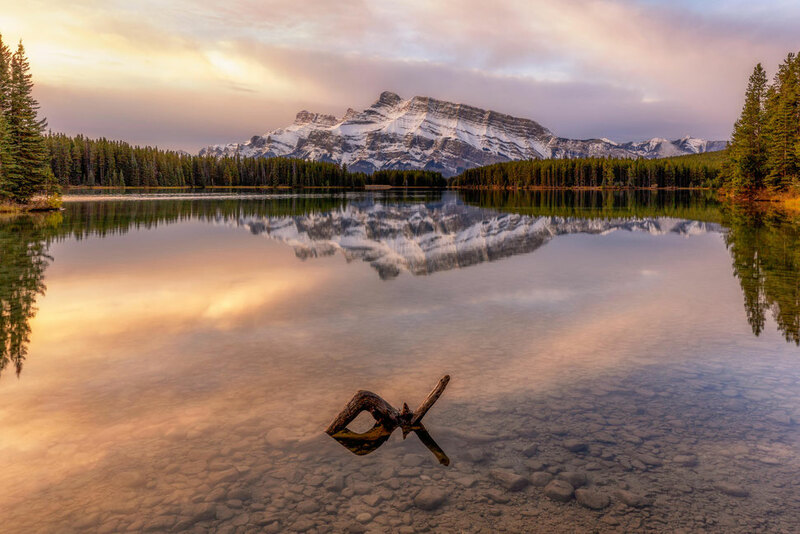 Two Jack lake is another signature location around Banff where you can photograph the reflections of Mount Rundle. There's a multitude of possible compositions here, make sure you've got plenty of space on your memory card. 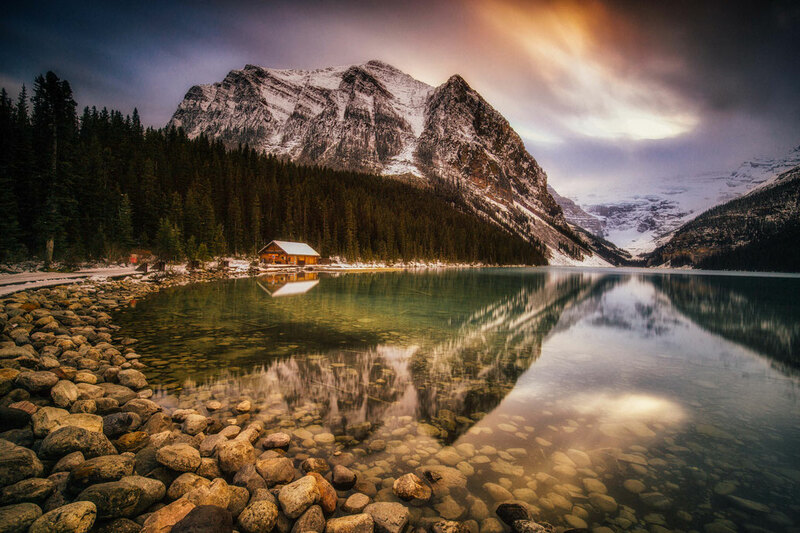 The Minnewanka Lake Loop is also a famous place for being home to a multitude of wildlife in the Canadian Rockies. Accessible both in the summer and winter months Lake Louise is an absolute must. Renting a canoe for a paddle on the lake or completing one of the many hikes around Lake Louise in Banff National Park is the way to go if you want to see beyond the shore. If you are visiting in the winter you can rent a pair of ice skates and go skating on the lake with the majestic mountain backdrop. 5. Lake Edith, Annette and Beauvert. 3 glacially fed little lakes, not too far away from the townsite of Jasper offer stunning reflections of all the nearby mountains. Most prominently Pyramid Mountain and Mount Edith Cavell. 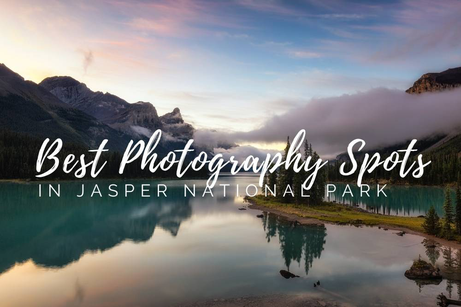 They are one of the best photography spots in Jasper National Park and require such little effort to get to, you'd be insane to miss them out if you're in the vicinity. 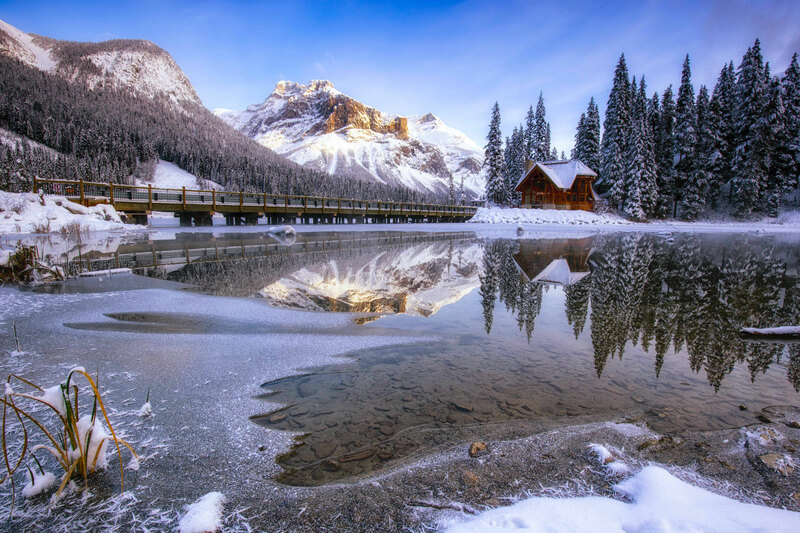 If you google Canadian Rockies, Banff National Park or anything related with travelling in Canada you will always get a picture of this lake in the search results. Moraine Lake is by far the most iconic location on this list. It's not only famed for its photogenic attributes it's also the trailhead for many world class hikes in Banff National Park. However with fame come the negative aspects. 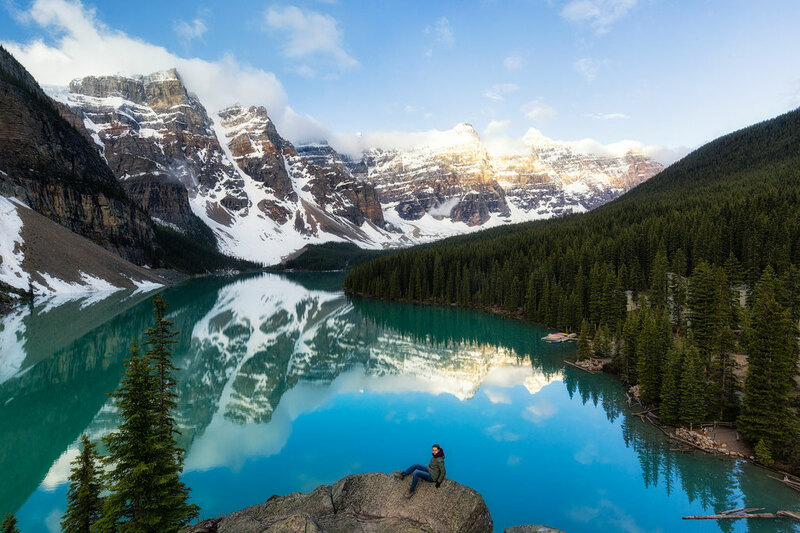 Due to avalanche risk in the winter months, visiting Lake Moraine is only possible during the summer season from mid May until the beginning of October and during the peak summer months (July & August) the word crowded is an understatement. A lake or a Wolf? If you look closely you can spot its two ears and a muzzle! 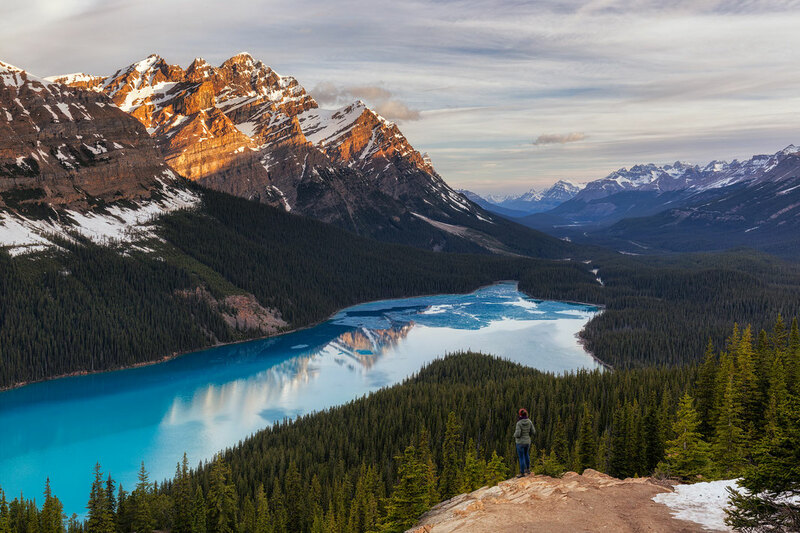 Peyto lake is another must visit when travelling down the Icefields Parkway between Lake Louise and Jasper. From the parking lot it is only a 20 minute hike to the viewing platform and this is the view you'll be rewarded with. The Icefields Parkway - Canada's most scenic road is full of photo worthy spots, but to me Bow Lake stands out more than the others. There is a big parking lot around 100 meters from the highway where you can take a break from driving and go explore the area. A diamond ring shaped by nature. 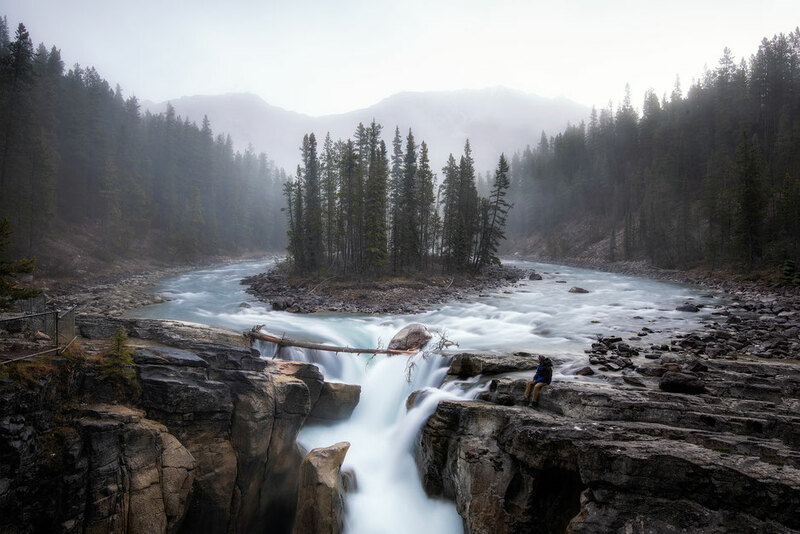 These captivating waterfalls are located just a few hundred metres off the Icefields Parkway, 30 minutes south from Jasper. They are a highlight stop on my road trip itinerary from Vancouver to Calgary across the Rockies. Be very careful if you are exploring area. The rocks can be very slippery and treacherous. I learned that once the hard way. A real gem with a corresponding name. Located just 10 minutes away from Field in Yoho National Park, on main highway number 1. I braved the -30 degree cold morning to capture this winter scene and I spotted my first moose from far away! The famous lodge built right by the lakeshore is easy accessible by car in both summer and winter months. 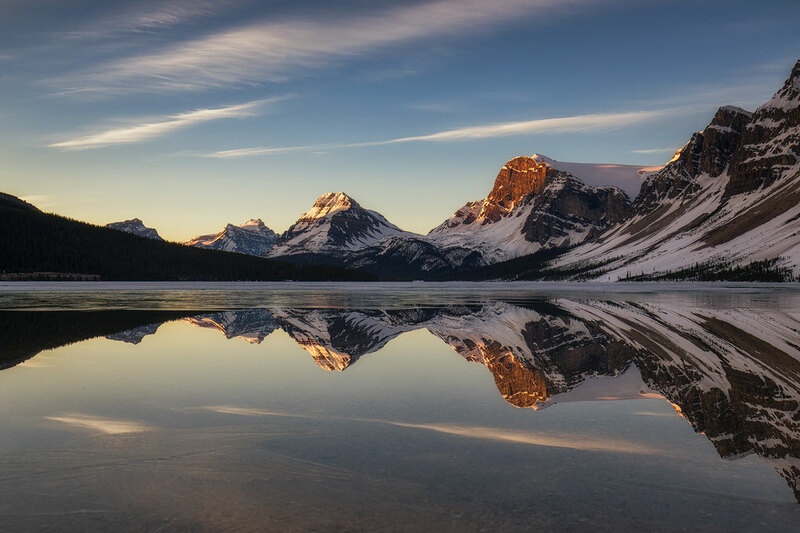 The three sisters turn into three sets of twins when photographing the reflections in the ponds and rivers that surround the town of Canmore, which lies just outside the boundaries of Banff National Park. This signature mountain range is visible almost from any spot in town, in fact I am looking at it as I am writing this right through the window in my living room! 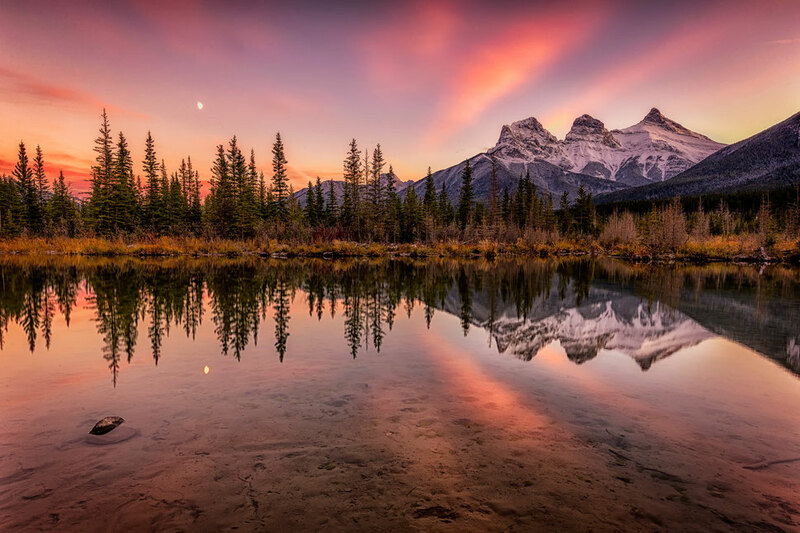 This capture, from Policeman Creek, is one of many picture perfect locations to capture Canmore's beauty. 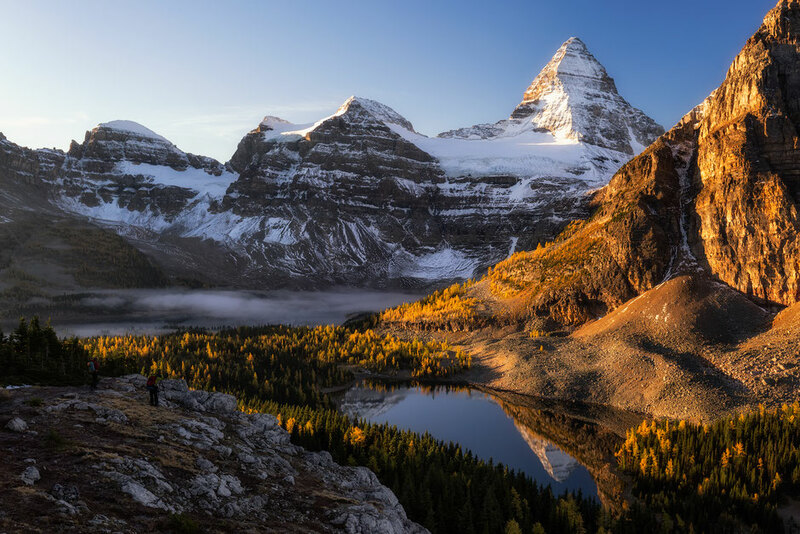 One of the most iconic scenes from the Canadian Rockies, Mount Assiniboine also referred to as "The Matterhorn of the Rockies" has been an inspiration for many movie directors, painters and of course photographers! 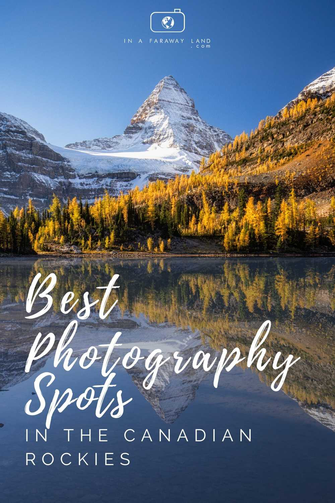 I have created an awesome photography and outdoor guide to visiting Mount Assiniboine Provincial Park which includes the best spots for capturing the beauty of this place. This view will take some time and effort to get to, but it's well worth it. The glacier fed waters of Berg Lake situated at the foot of Mount Robson is one of my favorite sights I have photographed so far. The famous Berg Lake trail will lead you to the shore of the lake from where you can explore the surrounding area. Particularly fine during the turning of the autumn foliage this scene can be photographed right near the visitor centre of Mount Robson Provincial Park. This visitor centre marks the start of the Berg Lake Trail, one of my favourite backcountry hikes in the Canadian Rockies. 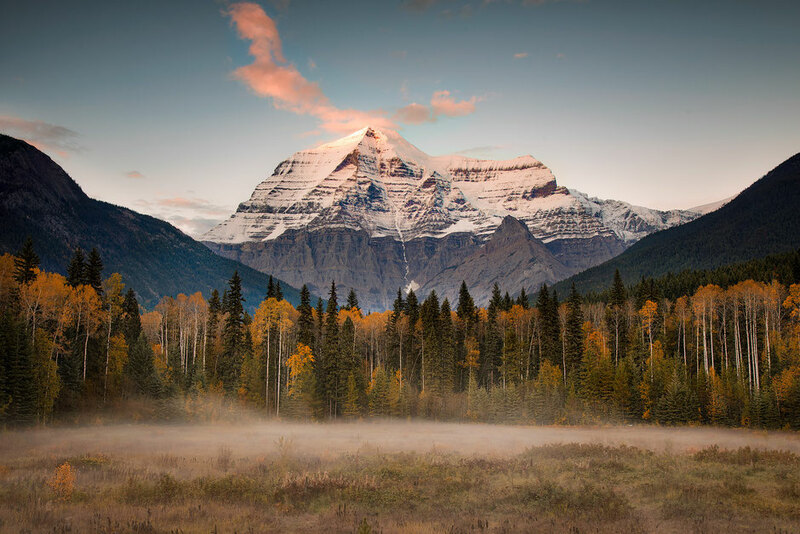 Mount Robson at 3954 metres is the highest peak in the Canadian Rocky Mountains and it certainly shows when you stand in its presence. Another easy roadside stop. It's impossible to miss it when driving from Banff to Lake Louise. This distinct peak stands proudly on the right side around half way through between the two towns. There is a wildlife gate right next to the river where you can photograph the reflections of the mountain. Make sure to keep it closed it if you plan on visiting the area. 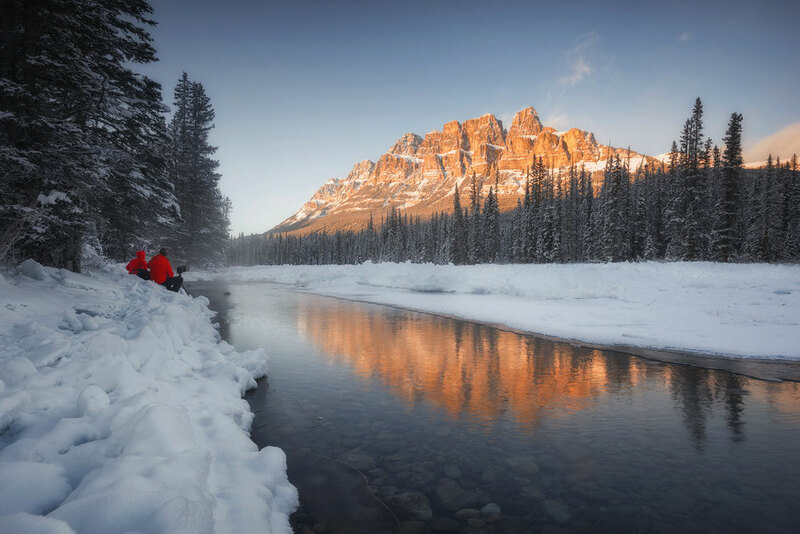 Castle mountain faces West making it a perfect sunset location, try and fit it in on your Canadian Rocky travel itinerary. As I pointed out at the start, the opportunities for photography are endless in the Canadian Rockies. The locations mentioned above are probably the most iconic ones, but if you try and put a little effort and explore the area a bit more you will be rewarded with unique photo compositions. Remember to always respect the place. Don't ignore the fences as there were put there into place, mostly to give the nature a chance to regenerate itself. Also respect other people. Just because you have a big tripod and a fancy camera doesn't give you the right to go and block the view of everyone else. Just some food for thought. Happy shooting! 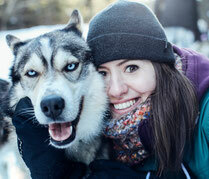 Check out my photography gear to see what equipment I used for taking these photos.